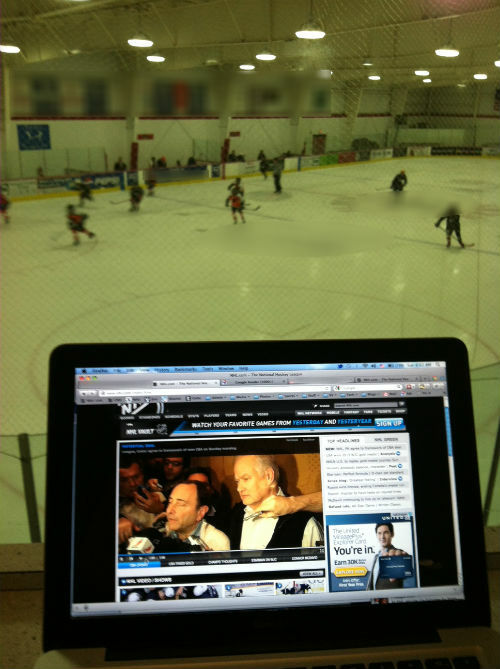 I think it’s fitting that this is how I experienced the end of the NHL lockout. The last several months have not been an easy time for people, like me, whose livelihood depends on the sport of professional hockey. The costs of the NHL lockout, which began Sept. 15 when the league and its players could not reach an agreement on a new collective bargaining agreement, have been both measurable (financial) and immeasurable (stress). 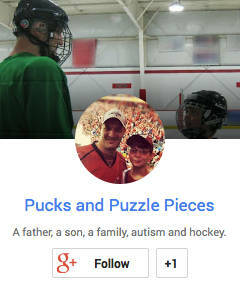 But in my family there has been added concern because of what the NHL means to us. Oversimplified, it is the glue that holds our family together. It is the one common interest that binds us. Ryan has been a trooper throughout, substituting a new-found love of football for hockey, but deep down both Veronica and I feared what would happen when the NFL season ends if there was no hockey. So it was with great joy, and no small sense of irony, that I shared a wonderful moment with Ryan Sunday morning. The NHL and its players reached a tentative agreement to end the lockout just before 5 a.m. on Sunday, and both Ryan and I were up to learn the news firsthand. As these reports filled my timeline I took deep breath and exhaled. I looked at Ryan. “YESSSSSSSS!” he yelled in barely-controlled volume. Already late, I hustled him into the car and off to the rink to watch him play. We talked about when the season might start and why it had taken so long. But there was no bitterness from Ryan, only joy as he let go of the thing that has been hanging over him since September. For that one, I had no answer. I just hoped it wouldn’t come to pass. Sunday morning, getting ready to watch my son play hockey at an ungodly hour, we learned, simultaneously, that it would not. Game on. Drop the puck. 🙂 Love it! Game on! Go Sharks!!! He wore his Sharks jersey to school today. But, to be fair, he’s done that at least once a week all school year. I better get busy with that Devils Quilt. Glad things are looking up. I only imagine how difficult this has been. A lot of stress and anxiety for sure. Plenty still to come on the work side, but it’s like all my anger and frustration was swept away. Can’t wait to step foot inside the arena again. Thanks. It was really amazing how it worked out that we were both up when it happened in the early, early morning and on our way to hockey. Game on? It never left!